The majority of petrol cars with the lowest insurance groups are city cars and superminis, which should come as no surprise. 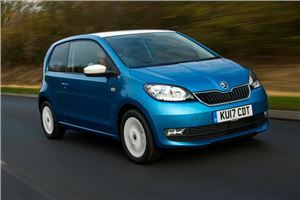 However, there are also alternatives in the shape of an MPV and spacious estate. Or, perhaps you’d like something with a premium German badge on the bonnet? It’s all possible if take a look through our top 10 pick of the best petrol-powered choices to keep your premium as small as it can be. Keeping your insurance premium to a minimum does not mean compromising on cabin space, which the Ford Ka+ shows to perfection. It’s a genuine five-seater and even comes with a decent 270-litre boot, so you can also cart everyone’s luggage. Based on the Fiesta’s platform, the Ka+ is good to drive around town and on twisty roads, though the 1.2-litre motor is happier in the city than on the motorway. Still, there’s plenty of standard equipment to keep you comfortable and entertained. 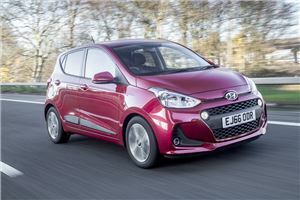 There’s a very grown-up feel to the Hyundai i10 that makes its rock bottom insurance grouping seem like a real bargain. This impression comes from the excellent build quality, which is backed by a five-year warranty, and the excellent refinement of its driving manners. A decent four-star showing in Euro NCAP crash tests also helps the Korean’s case. The all-round competence of its abilities further adds to the sense this is a very well resolved small car, even if that does come at the expense of a little character and driving fun. The sharp-suited Micra looks as if it should be much pricier to insure than its Group 1 rating means. Helping to keep it affordable are standard safety features such as auto emergency braking and systems to alert and prevent the car from wandering out of its lane. All stuff you’d associate with much bigger, more expensive cars. 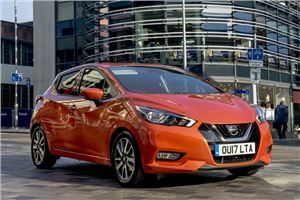 Nissan hasn’t been a Scrooge to fit these items, either, as the Micra feels solidly built, drives well and has a roomy interior. It’s a shame the boot loading lip is so high, but luggage capacity is on a par with its main rivals. The Aygo flies the flag for Toyota and sneaks into a lower insurance bracket than its French-badged counterparts from Citroen and Peugeot. Okay, it means you’re shopping in the shallower end of the trim levels, but the X-Play still comes with air conditioning and electric front windows. As all Aygos share the same 69PS 1.0-litre petrol engine, you get identical performance to the costlier versions, though it’s not exactly a ball of fire on the open road. Never mind, in town it’s zippy and fun to pilot, and one of the easiest cars to park you’ll ever find. We could as easily have chosen the Skoda’s cousins From Seat or Volkswagen here, but the Citigo is a fraction cheaper to buy in the first place. It shares its relatives Group 1 insurance bracket, so high quality, low cost motoring doesn’t get much better or easier on the pocket. With this 60PS engine, the Citigo is more suited to urban driving conditions than sustained motorway sorties, but the Skoda is fun to drive everywhere. It provides plenty of space for front passengers and the rear is ideal for kids, with twin Isofix points for child seats. 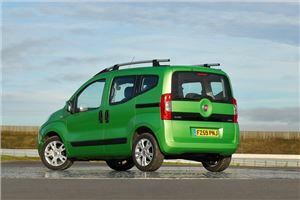 The Fiat Qubo is something of a forgotten choice for those considering an MPV, yet this van-based personnel carrier has ample room for five plus loads of bags. Versatile seating and a high roof line mean you can squeeze almost anyone and anything in here, further aided by twin sliding side rear doors. By choosing the petrol model, you keep insurance in the Group 2 bracket. The small downside of this is the 1.4-litre petrol motor offers fair performance but 40.9mpg combined economy and 161g/km CO2 emissions don’t really warranty writing a postcard home. 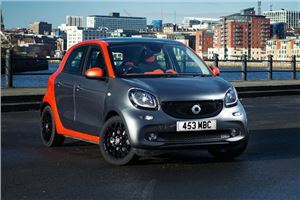 Smart has nibbled a small but desirable niche for itself as a provider of small cars that are a cut above the mainstream. Distinctive looks and design help and the Forfour is no different, with its rear-engined layout that’s shared with its Renault Twingo relative. The 71PS 1.0-litre engine dishes up 67.3mpg average fuel consumption and 97g/km of CO2, so it’s gentle on your finances. This motor is at its finest in the city, but can take on longer trips when required. In town, you’ll revel in the tight turning circle that makes packed streets a doddle to negotiate. 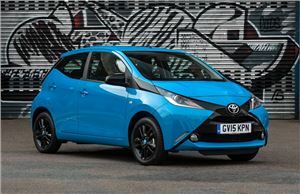 A second showing for Toyota in this Top 10 proves the Japanese firm’s cars are cost-conscious and the Yaris comes with a healthy dose of practicality too. Even in this basic Active model, you get lane assist and a pre-collision warning system. The 1.0-litre petrol motor holds insurance costs down for this supermini, but you might find it short on puff on the motorway compared its more powerful sister engines. 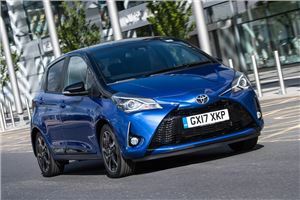 Also, the Yaris isn’t the last word in driving thrills, but it has written the book on reliability. 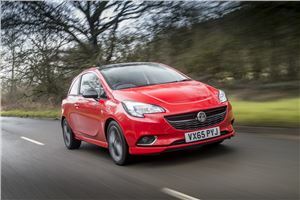 As one of the cars constantly vying for overall best-seller status in the UK, it’s no shock to find one of the Vauxhall Corsa’s key appeals is affordable insurance. That matters when so many newly qualified drivers will choose this car, which they may well have learnt to drive in too. 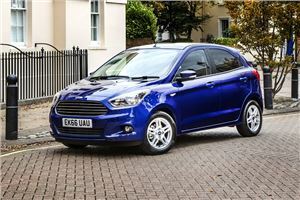 What they get is a supermini with excellent cabin refinement and good construction quality. It’s also got plenty of interior space, but the drive is let down a little by the dull steering feel compared to a Ford Fiesta’s. Here’s a curve ball for you: an insurance-friendly estate that offers as much load space as a BMW 5 Series Touring. 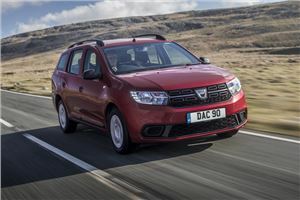 That’ll be the Dacia Logan MCV that provides 573-litres of luggage capacity to better the illustrious German wagon by three litres. Fold the rear seats and the Dacia offers 1518-litres, which is a but behind the BMW but still hugely, and we mean that in every sense, impressive. Just as nod-worthy is the Logan’s compliant ride and easy driving deportment. The petrol motor works happily, but it can struggle when you make full use of its generous load capacity. I much prefer this "Top 10" layout for it's ease of reading. Just scrolling down is much easier than the usual, scroll down a bit and click on the next number to see the next vehicle, and so on nine more times. Yup agree, much easier and quicker. Yes indeed. Car insurance is totally baffling at times. I pay £388/year for a group 28 Peugeot RCZ. I'm 57 and do 9000 miles a year. I have colleagues who pay almost that much a month, maybe because they live in a city, I'm rural. My wife and I have 3 cars between us. We are both retired and thus do not commute and our cars are insured for limited mileage of 3000-4000miles per year. We live 12 miles north of Manchester city centre. I am 71 and my wife is 68. We both have 9 or more years NCB. I have an Audi Q3 1.4 petrol. My premium is £307 per year - I'm 72. I'm insured with the NFU. My partner who has a 2015 Mazda 2 is being quoted over £500 by the AA. She has no accident record. As the Americans say - Go figure. Incidentally when i switched cars from a Merc C-Class diesel my premium went down from £500+ to less than £300. Why the Q3 should be so cheap heaven only knows. We live in North Somerset. I don't know why insurance has to be so expensive. I'm 61 and I can't afford to reinsure my car after 40 years of safe driving. Even with max no claims bonus, that's a joke for a start, and living in the sticks it's still prohibitive. So my car remains in the garage with a new mot until these greedy wotsits lower their premiums. Just added info: 71, no points, 9+ yrs NCB, 1.2 Micra, 14k miles pa, £169 fully comp, £250 excess. R C 29 April 2018. I am retired and have no accidents or any convictions and have full no claim bonus. I own a C 180 1800 CC Petrol engine car which cost me £15990 in 2012 and is kept in a locked up garage. How much will a fully comp and full no claim bonus and 250 excess insurance cost me? The figures quoted are bizarre. Why no quotes for a 45 year old? What about a 70 year old that read Honest John? There are thousands of us and we pay a fraction of that money. We pay £272 for our 20015 Mondeo Estate 2l petrol 6K miles per year and £183 Kia Piccanto again 6K miles per year.Self and wife have clean records and no accidents etc retired rural address. Hope the figures stay like this too. I was with LV who suddenly raised the insurance from 480 to 760 a year, no reason given other it is the area you live in, statically we have one of the safest area's (police). I am 78 drive under 5000 a year and did not have an accident for 52 years. Now with esure low again but still around 500 a year. Al those stories of 200/300 a year do either not exist, are fantasies by the companies or special deals, in my opinion.